We have 40 years of experience as a leading cargo airline in Colombia. 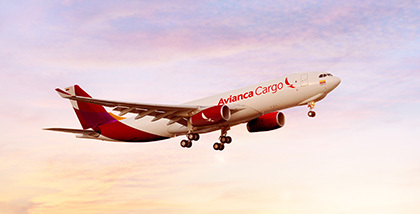 As we adjust to our customer’s requirements, we provide charter flights service to any destination in the Americas, offering you our fleet of A330-200F and B767-200F cargo aircraft. We offer the possibility of part charter flights if your cargo requests cargo do not meet the full capacity of the aircraft. Packaging conditions: Possibility to go back, rotate / flip, etc.